They bloom in the spring in the forest. 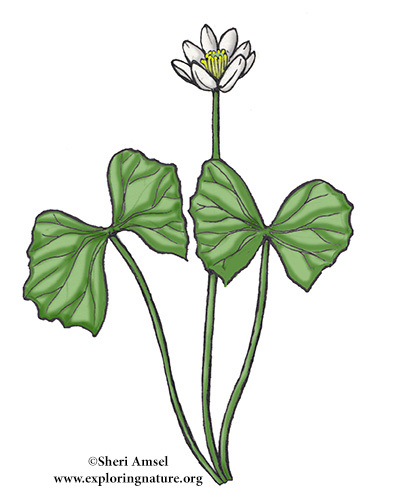 Each leaf grows on its own stem and is divided into two mirror image leaflets. The 1" wide, white flowers also grow on their own stalk with 8 petals each. The plant reaches about 8” high.